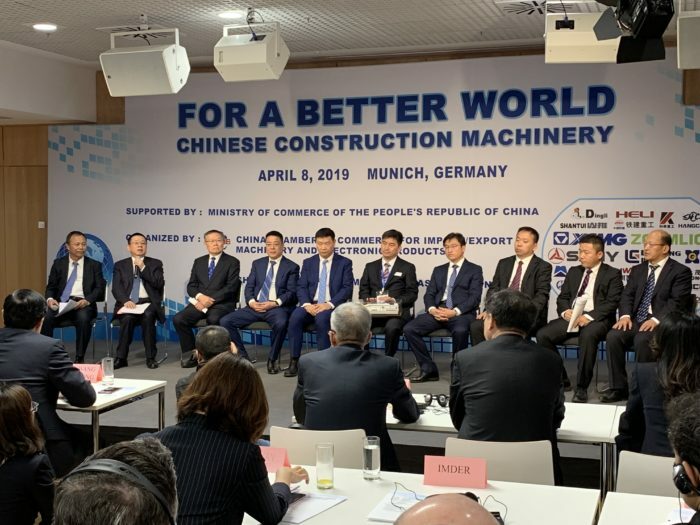 At Bauma Munich 2019, top Chinese organizations in the construction and machinery industries gathered to give a presentation about their companies’ goals to enter the European market. He Qinghua, president of Sunward Intelligent Equipment Group, explained that his organization has a focus on safety and efficiency in its machinery. Sunward has achieved more than 100 patents for excavators and its machines are suitable for use in cities, according to noise and fuel standards. Its rubber tracks also meet EU standards. Liu Feixang, chairman of CRCHI, told the audience that his organization, which manufactures 200 machinery vehicles and equipment, initially entered the overseas market in 2016. He believes that his company’s potential success in Europe depends on: preparation and a good understanding of the European market and culture; forming and maintaining relationships with overseas clients and organizations; and continuing to create high-end machinery that is able to operate in a range of applications and environmental conditions. CRIHI also places a huge emphasis on its research and development (R&D), which is made up of 20% of its staff. Tan Shunhui, chairman of the China Railway Engineering Equipment Group (CREG), highlighted the organization’s focus on innovation and its experience in creating unusually shaped equipment to suit projects’ unique needs. CREG currently employs more than 200 overseas employees, but wishes to increase this number following connections made at Bauma. Zhang Min, president of Shantui Construction Machinery, highlighted the competitiveness of his company stating that its goal to achieve worldwide recognition is the drive behind its R&D, and that it prizes attention to detail when fulfilling customer requirements. 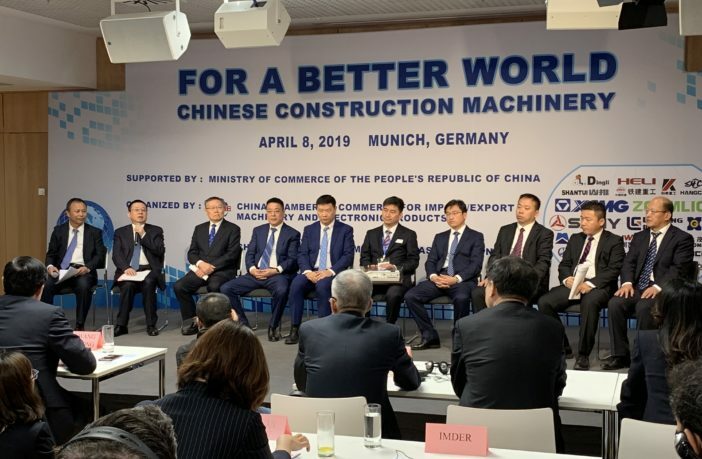 Zhou Xuesing, vice president of Sinomach, China’s leading machinery manufacturer, expressed his gratitude for being able to use Bauma as a platform to expand his organization’s connections. Dawei He, general manager at Liugong, shared insights into his company’s 10-year experience of working in the European market, such as its customer-centered products focussing on cost-effectiveness and environmentally friendliness. He also revealed that Liugong’s developments in artificially intelligent (AI) and data analytics for its products make them stand out among competitors.